My first introduction to the ‘core group’ of the Distant Voices project came at its second residential meeting. 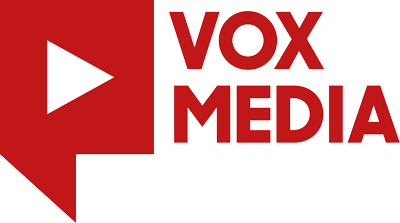 I was interested in joining the project as I had been involved in the organisation of the first Vox session held at HMP Inverness, where I work as a prison officer. I was struck by how powerful both the process and the end product was, and I was keen to explore the possibilities the project has in supporting the reintegration of those in prisons back into their communities. I was not really sure what to expect of the two days, so approached it with a mix of curiosity and trepidation. I had met a few of the folks there before but it was my first time meeting the others. The theme for the two days was the ‘danger of the single story,’ and it struck me that we are all guilty of this as we make-up narratives about the lives of those around us. To me these are like the light drawings an artist places on the canvas prior to layering the colour, depth and warmth. It’s a pencil picture of the subject, full of gaps. I wondered what different stories had been created about me. The process of writing was not easy, and I struggled with my perceptions of what I was writing and the fear that it would upset or offend the group members referenced within it when read out aloud. It started to take on an importance which to me seemed greater than the words written. I wanted to do justice to the people, the group and to chapter one. When we met for our third meeting, the experience of having my chapter two read out by the group was an “uncomfortable” one. By that I mean I felt I had a responsibility to have represented them correctly and sensitively; also chapter one was of an extremely high quality I was worried that chapter two would fall short and in some way devalue what I felt was a fantastic way to record the core group meetings. It’s like a chronicle of a voyage and I did not want to be the one who had run it aground at chapter two!! !